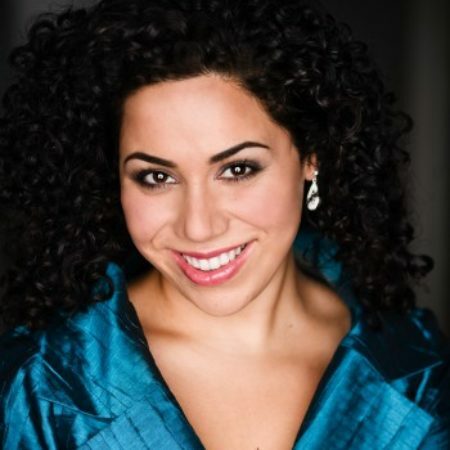 Hailed by Opera Today for her “pleasing and pliant voice” Iranian Canadian mezzo-soprano, Shirin Eskandani, recently made her Metropolitan Opera stage debut as Mercedes in Carmen. She is the recipient of several prestigious awards including first place at the Gerda Lissner Foundation Vocal Competition and fourth place at the Licia Albanese-Puccini Competition. Recent career highlights include company debuts with The Metropolitan Opera, the Rossini Opera Festival, Sarasota Opera, and Opera Southwest. Her recent roles include Dorabella in Cosi fan Tutte, Angelina in La Cenerentola, Zaida in Il Turco in Italia, the Mother in Hansel and Gretel, and Ragonde in Le Comte Ory. On the concert stage, Ms. Eskandani has performed in numerous works including Bach’s Matthaus-Passion, Haydn’s Nelson Mass, Handel’s Messiah, and Durufle’s Requiem. She has premiered several works including The Oratorioto End all Oratorios with the Vancouver Symphony Orchestra and the Royal Winnipeg Ballet’s performance of Handel’s Messiah. Ms. Eskandani is a Midwest district finalist at The Metropolitan Opera National Council Auditions and has worked as a young artist with Merola Opera, Palm Beach Opera, Opera Theatre St Louis, Syracuse Opera, the Ash Lawn Opera Festival, and Banff Opera. She received her Bachelors of Music from the University of British Columbia and her Masters of Music from the Manhattan School of Music.